John Wayne Replica Loop Lever Rifle Frame Set. This M1892 lever action western carbine was used in many great western films and the rifle of choice in dozens of John Wayne movies. The rifle is mounted to a 42" x 12.5" beveled edge wood frame and is attached by spring loaded barbed-wire hangers that allow for easy removal of the rifle. 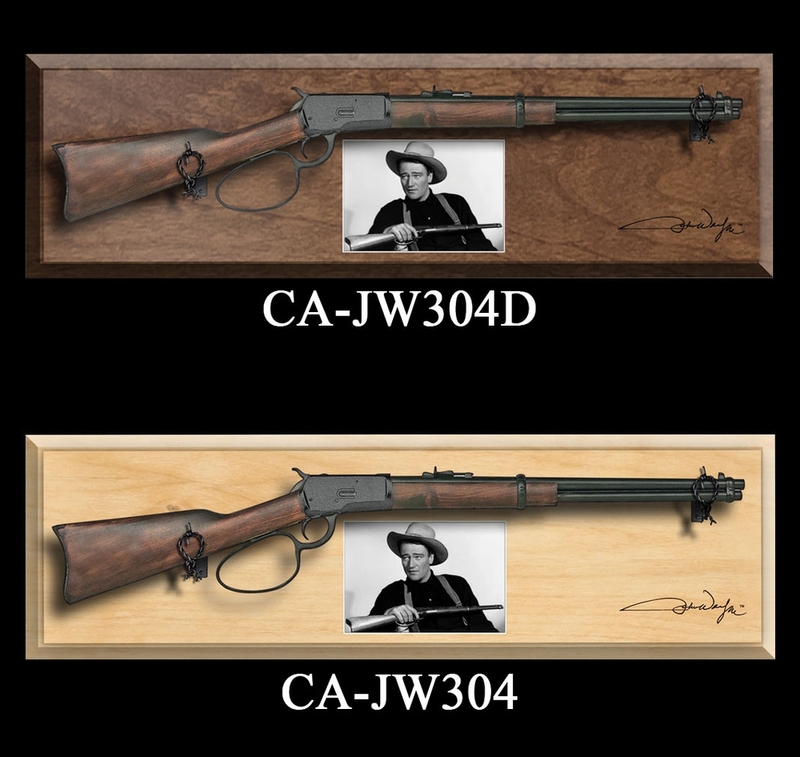 The John Wayne signature is engraved into the wood frame and a metal/tin photo of the Duke himself, actually a loop lever rifle is set into the center of the frame. (Frame also available in dark stain, JW-304D).